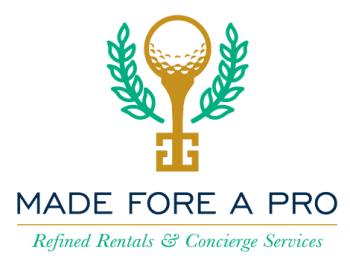 Made Fore a Pro is a third party contract negotiator. We accept listings for Masters rentals and present them to clients across the world. Where do our clients come from? We have worked for 7 seasons to create a positive reputation for our company, thankfully from there the referrals started coming in. 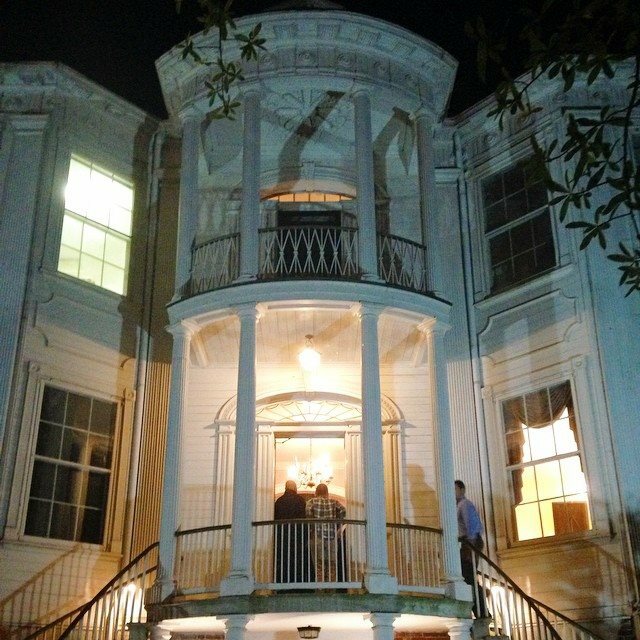 We work with groups large and small from family and friends, fortune 500 companies, athletes, and celebrities. Although our website is easy to find on a search, 90% of our clients come from another client, friend, or business associate. How do I get started on renting my home? Go to our website! There you will find a link titled "For Homeowners"- please click the link, upload your pictures, fill out your information, and press "SUBMIT"! It's simple, but just like every other form of technology, it is not perfect. If you have any questions or receive an error message, please feel free to email us at info@madeforeapro.com. After spending several years debating on the best way to serve our homeowners, we have decided to allow EVERYONE to list for free. Regardless of price or condition, we can never predict what will rent and what will not rent. At the end of the day, we want to make sure that YOU feel good about the work that WE have done. How do I price my home? This is a tough one! How much is your time worth? How much work will need to be done to get your house Masters ready? What is the cost for you to be out of the office for the week? What is the cost for you to stay somewhere else for the week? In what capacity will your home be used? These are all factors that should come into play when pricing your home. We are always available to discuss your home value- if you are unsure of how to price, choose one of our two paid options- one on one or a phone consult. These can be found at the bottom of the "For Homeowners" link. Good question- there are many factors that contribute to the commission we make on a home. Requests, size of group and proximity of homes, budget, etc. We have 2 full time employees 1 part time employee, 2 group administrators, and 2 seasonal employees. All of this is a factor into what we make, but it does NOT factor into what you make. You price your home and leave the rest to us! Unfortunately- this is where you have to sit and wait. If we have questions, we will call or email but if you don't hear from us, please do not think we aren't working! If you have ANY questions pertaining to your homes possible rental, please feel free to email info@madeforeapro.com. We cannot predict who is around the corner or what their requests will be. Homes are chosen based on clients needs and budget only. We don't play favorites - we play fair, and we want to RENT YOUR HOME. That being said- it is important that you recognize that we have many great competitors in our market. It's hard to call them "competitors" as we often work together when needed. The best way to get rented is to make sure that the RIGHT people have your information. We all have different clients and while one year your house might be the first to rent, it might not have the same luck the next year. We WANT you to rent your house, be it through us, or through someone else you trust. I just got the call...it's RENTED!! What should I expect? Once we have a verbal agreement in place with both parties, we will send the contract to the renter and ask that they sign and return within one week. Payment date will be discussed prior to your agreeing to work with a client, but in general, we request the 50% deposit within two weeks of the date on the contract. The contract must be countersigned prior to a check being issued. The second half is due to US by February 1st but please allow us until February 15th to distribute final checks. Our contract is THOROUGH. So much in fact that it can be aggravating, but in the long run, we want to make sure that you are properly protected. Every year we have it revised by a lawyer- it has probably been in the hands of 15 of our lawyers and hundreds of legal departments. If you require any special stipulations, please send them in the form of an addendum and we will have the renters sign off on any changes. As of now (September 15, 2015) you may rent for up to 14 days tax free. Made Fore a Pro is obligated to issue a 1099 based on the amount and year the money was paid in; as the homeowner you can easily make any adjustments/reporting on your own 1040. How do I prepare my home for Masters week? Click this link for the FULL LIST...but don't let it scare you off!! Please feel free to submit any questions to info@madeforeapro.com and we will answer them on our blog!